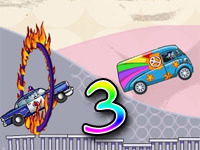 Get ready to pull some extreme, death defying stunts in Rich Cars 1. 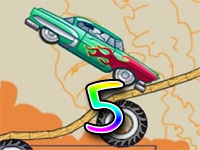 Blaze through the unusual paths and blow up the obstacle that are blocking your path, while leaping from one place to another as you go airborne by driving along the different ramps. 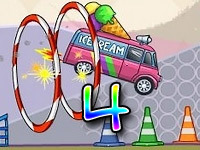 The game provides an unusual environment as it gives you the impression that your car has been shrunk in to the size of a small toy car because as you travel through the stages you will come across giant lollipops, soda cans and many more. 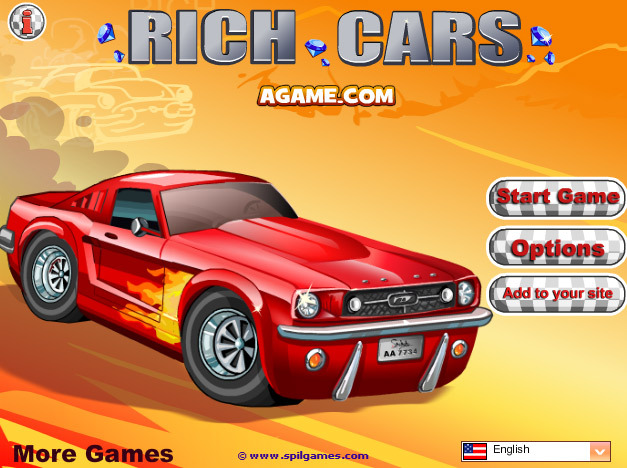 If you love a bit of imagination and realism then Rich Cars 1 is an excellent choice to play. If you love racing games with time attack and pulling some wild stunts along the way then this game will definitely offer you all of them in one place. The story begins with a guy who is trying to make a good impression to his girlfriend by using his driving skills. 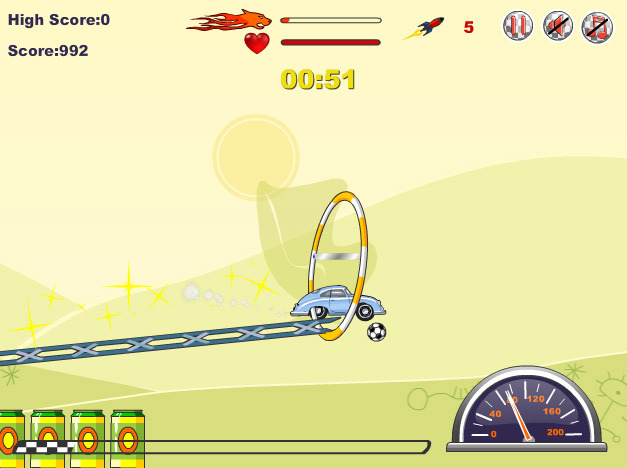 From the looks of the stages, it feels like the game occurs in a toy land or your car has been changed to toy car because the stages are filled with obstacles and props which we use on a daily basis for example – Soda cans, pieces of lemons, footballs, lollipops and much more. If you get bored with realistic places and roads then this game will surely cheer you up with its creativity. 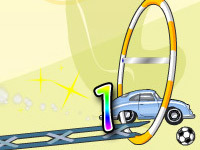 The objective of the game is to finish the stage in a limited amount of time while managing your cars health. The stages are quite difficult and tricky to overcome as some of the areas are unevenly shaped, also the path sometimes get barred with crates, cans etc. Balancing the car is very important, if you properly do the flip and stunt properly your car won’t receive too much damage and neither will it get stuck in gaps. Getting stuck in gaps can cause you to lose precious time to overcome these puzzles, and sometimes it takes a lot of effort to get out of the situation. So this is not only a racing game but also a game which requires tactics to play in the process. 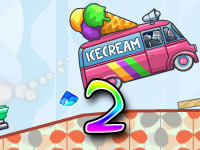 Your car can also jump in the air, the jump of the car is determined by how long you have pressed the jump key. To get a good idea of your jump, you will be able to see a bar above the car’s roof, once the jump key is pressed the bar fills up and if the bar is completely filled up then your car can jump to its maximum height. You will receive points for collecting pieces of jewels in the stages. These jewels lay around in different parts of the stage and acquiring them can be quite challenging. So drive carefully as well to avoid missing out the bonuses. There are trophies awarded in the game as well and you have to complete certain tasks in each of the stage to receive one. Each trophy offers a different objective which can be quite challenging and difficult as well.